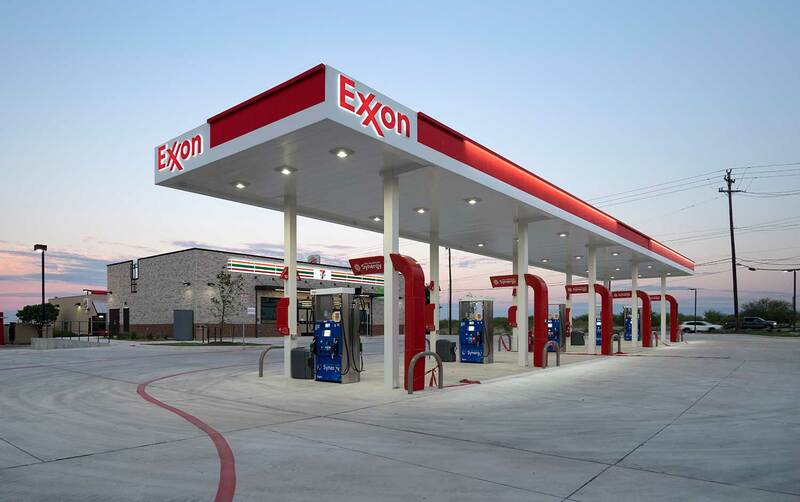 Creighton Construction & Development has completed construction services on a new 7-Eleven convenience store with gas station and car wash, located at 16707 Nacogdoches Road in San Antonio. The Creighton team on the project included superintendent Ron Kalecki and project manager Bill Griffith. Through the years, Creighton has built several dozen 7-Eleven stores throughout the country. The company currently has a number of 7-Eleven locations under construction in Florida and Texas. 7-Eleven, Inc. is considered the largest chain in the convenience-retailing industry. Based in Irving, Texas, 7-Eleven operates, franchises and licenses more than 63,000 stores in 18 countries, including 10,900 in the U.S. and Canada. Outside of North America, there are 7‑Eleven and other convenience stores in Japan, Taiwan, Thailand, South Korea, China, Malaysia, Mexico, Singapore, Australia, the Philippines, Indonesia, Norway, Sweden, Denmark and United Arab Emirates, with plans to open a store in Vietnam.